Our strategic vision is supported by our proven acquisition model and our desire to be better at everything we do. The business started 19 years ago in June 1995, since then it has rapidly expanded, acquiring several digital and media companies along the way, and around the world. In September 2011 a game changing opportunity was presented in the form of the acquisition of Clicks2Customers. incuBeta Group has regional offices and representatives in the UK, Singapore, Hong Kong, Australia, South Africa and North America, with new offices in key Western , Eastern and other African territories opening soon. Notable acquisitions for the group include NetMediaPlanet (based in the UK), ClickEgo, Evly and Wobble (based in RSA). 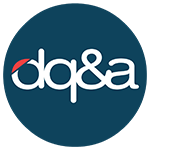 Since their foundation in the Netherlands in 2001 DQ&A Media Group is helping agencies, advertisers and publishers with successful digital strategies. The challenges and opportunities that programmatic trading offer are fully embraced for gaining this success. The performance-focused consultants in 7 offices worldwide have the know-how to turn data into actionable insights. With two main divisions under the same roof, DQ&A One and Adsimilis, DQ&A Media Group is committed to providing high quality performance marketing, technology & data management services for different clients. 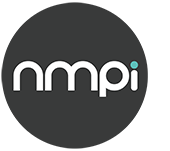 Founded in 2003 as Clicks2Customers in Cape Town and 2004 as Net Media Planet in London, NMPi was established in 2016 with clients and offices around the world. With a collective experience in delivering best-in-class digital advertising campaigns, NMPi runs complex campaigns for clients across the globe. Whether Europe or Australia, Southern Africa or the United Kingdom, no matter where you meet with NMPi, they are passionate about helping ambitious brands grow and realise their full potential. Having worked across a wide range of industries including fashion, retail, finance and travel, NMPi offers their clients rich data and valuable insights. NMPi has a personal, customer-centric approach to every account, considering your needs and goals and making them our own. As industry leaders, NMPi has earned the trust of their clients. NMPi's approach to digital advertising combines innovative technology and a talented team of data driven analysts. With resources and people on the ground (around the world), NMPi's in-depth local market knowledge and digital expertise helps drive results. NMPi is a respected and trusted partner for your brand.